Is the short sale process really more advantageous for the seller, or is foreclosing the safest route to take? 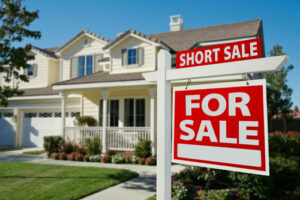 What criteria should a homeowner meet, in order to qualify for a short sale? How do short sales really match up to foreclosures?—and, after all is said and done, why should you, as an owner, care anyway? Hasn’t the crisis been over for years now? There was a time not too long ago when foreclosures were everywhere. This was but 9 years ago, in the wake of the housing bubble and with the US economy still reeling from the effects of the recession. The so-called ‘foreclosure crisis’, which saw over 5 million households deprived of their homes, seems to be over. According to some of the latest stats, the national rate of foreclosure had dropped to 1.7 percent in June 2014, down .8 points from the same time in 2013. This is a comparable level to 2006 figures. In mid-2014, foreclosed homes were selling at the slowest pace recorded since 2008, but, at the time, some of the experts were forecasting a potential return of the crisis. With that disquieting perspective looming on the horizon, today’s article explores the short sale, as an alternative to foreclosure. Putting your home up for such a sale is not an ideal situation, not by a long shot; however, it still beats having to foreclose, for all the reasons listed below. As its name suggests, a short sale is a real estate transaction, in which the money made by the owner will fail to cover their lien-secured debt. Since the owner cannot pay the liens in full, in a short sale scenario the lien holders (i.e., the lender) will agree to accept less money than the standing debt balance. The difference between the money made from the transaction and the outstanding balance is called a deficiency. Even if you agree on a short sale with your mortgage lender, you might still have to pay off that deficiency. However, in some states, such as California, deficiencies are precluded by law, once a short sale has been approved. This law also applies to first and second time debtors. Now that we’ve given you a cursory answer to that pressing question, “what does short sale mean?”, let’s look at the differences and similarities between the two procedures. There are upsides and downsides in both cases and no one can legitimately say if one is necessarily better than the other. However, understanding the pros and cons for both is essential prior to making a choice between the two. We’re also including some info relevant to buyers, because short sales have some special snags reserved for them as well. Usually, the buyer will be pardoned the remainder of the loan, which they can’t cover with the money they make in the short sale. This works for lenders, because they don’t have to go through the often more complex process of repossessing and foreclosing on a home. Be warned, however, that this is not always the case by default. Always make sure to check your state’s legislation before going through with a short sale and even consider consulting with a lawyer, if your particular situation demands it. For buyers, short sales mean they will typically pay less than they normally would for a home. This discount alone has given rise to its own residential real estate market segment—though, in earnest, its appeal has waned over the past couple of years, as the rate of delinquent loans decreased. In order to be approved for a short sale, a debtor typically has to show hardship which may mean being behind on payments.. However, you don’t want to risk having your mortgage lender initiate foreclosure procedures against you before you apply for a short sale, so keep your eye on their regulations for delinquent loans. Going through a short sale doesn’t mean you get to keep your credit intact. In the overwhelming majority of cases, such a transaction does damage the seller’s credit. As a buyer, you’ll have to go through some additional contracts, fees, and documents, when purchasing a home through a short sale. Moreover, many such homes are fixer-uppers, so be sure that you’re prepared for that kind of effort. You will be required to pay income tax on any forgiven deficiency since IRS considers it income. There aren’t any, really. In a nutshell, going through a foreclosure is a difficult, often painful process, which involves added costs for the lender (in legal fees and carrying expenses). However, foreclosing is sometimes an owner’s only option. As you probably already know, foreclosing will have a major negative impact on your credit score and it will show up on your report for a long time. It’s worth bearing in mind that short sales usually take a lighter toll on your credit score. In both cases, though, expect a drop of about 200 to 300 credit score points. You will have to wait for longer before you can buy a new home. According to the most recent Fannie Mae mortgage guidelines, short sellers only have to wait for two years before they can buy a new home, while the waiting period for foreclosures has been expanded to five years.